Thank you to Dana from Kiss My List who tagged me! It’s been a blast getting to know more about my blogging friends. Buy a home with a backyard or deck or some kind of outside space! My friend Marty had this super fun 80th birthday party. He kept saying he would rather do events like this now, surrounded by all his loved ones, versus when he is gone. And it made everyone at the party stop and think, yeah, why wait until we’re dead. PAR-TAY!!! I want to have a blowout, spare-no-expense raging party with the best DJs, food/wine, and entertainment. I’m determined to go to Berkshire Hathaway’s annual meeting and I need to do it while Warren Buffet is still around. “Ummm.” Yes, I know it’s a bad habit! Honestly I’m an introvert so I don’t do much talking out loud. Public speaking is my biggest fear. Swear words. Yes, all the bad habits are coming out! “Grande peppermint hot chocolate no whip.” My go-to Starbucks order since I don’t drink coffee. Five People I Tag to Do This Meme: please don’t feel obligated! Been seeing tis going around and loved it. Happy to see you join in and post it up. By the way, I still can’t watch Kramer Versus Kramer without forgetting the infamous playground scene where the little boy ends up with stitches. That left such an impression on me when I was younger and still remember that so many years later for some reason! Yes the playground scene and the ice-cream scene! You are officially the most well travelled person I know. I love to travel but my passport cannot touch yours. I want to be like you when I grow up! I’m going to look into reading a couple of your favorite books. I’m always looking for some new reads. Thank you for tagging me. I like posts like this! Andrea, the list above are only books I read recently. Check out a subset of my favorite books on pinterest. http://pinterest.com/cgacad/favorite-books/. Six continents already – that’s impressive. Kate from Another Clean Slate said she wants to dip her toes in every ocean. I bet you’ve already hit most of them, right? I have a long way to go to catch up! Yep, I still need to do the Arctic Ocean. Can’t say that Antarctica interests me, but it’s definitely on my bucket list. You are my travel hero. That is incredible…I think you should start sharing pictures of all the wonderful places you have been!! Maybe you already did that, and I didn’t know you then. 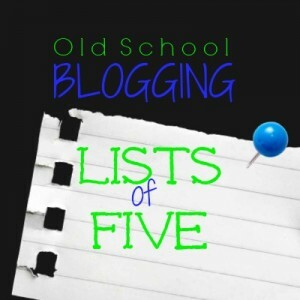 I love this old school blogging…we really get to know each other better! Michelle, I wish I had you around to show me how to backup my photos! I have been really careless. After graduate school, my laptop died on me and I lost all my pictures up until then. But yes I have been thinking of putting a page on my blog of all my travels! I didn’t include it in my scheduled post, but mothering is at the top of my list of to dos too! Joi, I already mother my husband so many I should take that one off the list. Doh!